In the old days, advertising was for big companies with deep pockets. It meant buying pricey TV ads, billboards, or magazine spreads. You never really knew who the ads reached or how well they worked. Of course, we know those days are over. Digital advertising opens up doors for companies of all sizes and budgets. It lets you have one-on-one conversations with customers. Rather than taking an old school “spray and pray” approach to advertising, consider trying Facebook ads. Facebook knows a scary amount of information about all of its followers. The platform stores basic details like age and location, but it also catalogues hobbies and interests. This means advertisers can get as granular as they want. You could reach moms who live within 50 miles, like sports radio and drive used cars, if they are your ideal customers. Maybe you don’t want to get that specific. Or maybe you have great followers on your Facebook page already. In either case, “Lookalike Audiences” offer a type of targeting you can really only get on Facebook. Lookalike campaigns connect you with people who are similar to your followers, based on their interests, age, occupation and many more data points. These audiences are more likely to want your product or service, because their friends already do. If you’re hesitant to leap into Facebook ads, you’re not alone. It’s a powerful tool that reaches millions of people every second of every day. The good news is that you don’t need much time or money to dip your toes in the water, before you’re ready to dive in head-first. Unlike other ad buys, there’s not a high barrier of entry. You could spend as little as $1 on a Facebook ad, just to see how it works. You’re not locked into any set dollar amount or timeline. There is a lot of flexibility, so you can adjust your spending any time. Of course, you shouldn’t start seriously spending on Facebook without first having a solid strategy. Make sure you have a plan to follow up with new customers at every stage of the marketing funnel. For instance, it’s of no use to collect someone’s email address via Facebook ads, if you’re not going to contact them later. You have to treat Facebook ads as a valuable part of your marketing and sales cycle, nurturing your leads along the way. Luckily, Facebook gives you in-depth analytics to help you strengthen your strategies. Facebook ads are easy to test and track. You can run A/B tests to see which ad creative or audiences work best. Then, you can see detailed reporting on how Facebook ads are helping you engage customers. You can also stay in front of your website visitors, thanks to the Facebook Pixel. This code allows you to show ads to Facebook users who have already visited your site. They have already shown an interest in your company, and now you can stay top-of-mind as they make their purchase decision. Beyond Facebook’s targeting and testing capabilities, one major reason to pay for ads is that there’s not really another way to reach your Facebook followers. Posting unpaid, a.k.a. organic, content on Facebook does not get you very far. Facebook knows its News Feed space is valuable. So valuable, in fact, that the social media giant wants you to pay to show up in front of your own followers. What was once a Wild West of organic engagement is now a pay-to-play medium (for the most part). Every time you post, only a small percent of your followers will see your content. Some suggest that organic reach is as low as 2 percent. Facebook’s algorithm has downgraded content from companies so much that you have to spend a little to make any waves on the platform. Facebook is also experimenting with a new “Explore Feed” for branded content. It keeps posts from friends and family in the primary News Feed but segments company posts into a secondary section. Once “Explore” becomes a standard feature, brands will have almost no organic reach on Facebook at all. All the more reason to set aside budget for ads, if you want to stay in front of your followers. It’s a whole new world of possibilities, when it comes to digital advertising. 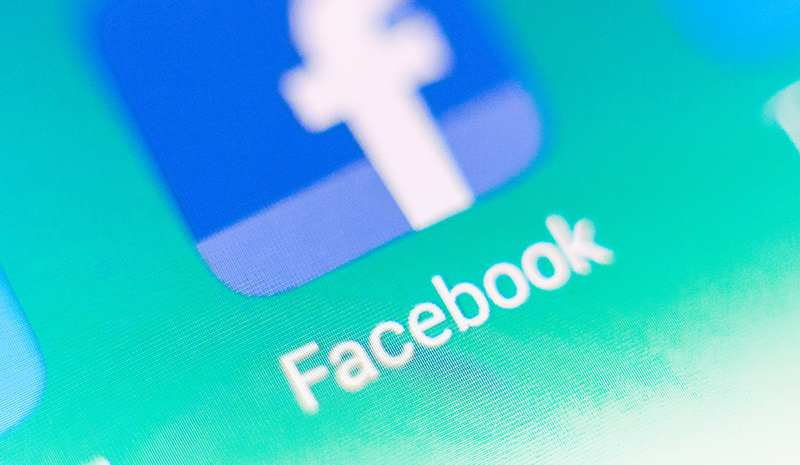 Facebook ads offer a low-cost, flexible and highly targeted way to connect with your customers. If you want to learn more about Facebook ads, or other online advertising options, we’re always happy to help. Want to start your Facebook ad strategy? We know the ins and outs of Facebook Business Manager, so you don’t have to go it alone. Get in touch with us to get started!